This Podiatrist-designed Vionic Orthaheel Dress Slimfit Insole is a cost-effective alternative to custom-made orthotics for everyday use: fits all types of women's casual and heeled shoes. 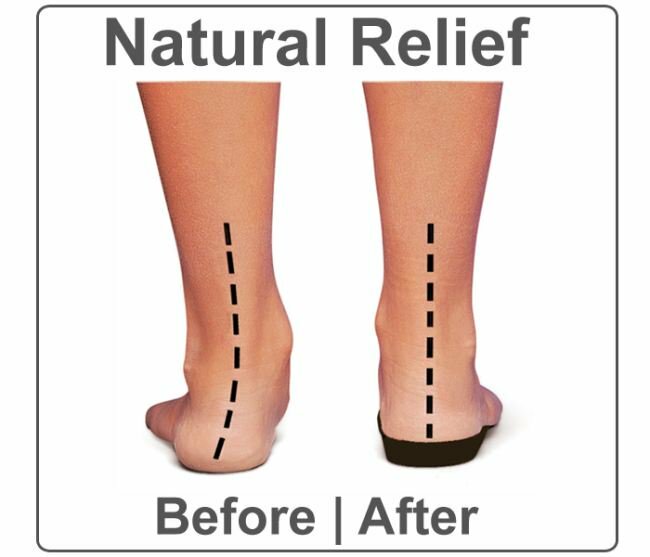 Supports the foot via a built-in rear-foot angle which helps realign the foot to its natural position and the metatarsal bones, and helps provide effective relief from the ball-of-foot pain, metatarsalgia, Morton's Neuroma, as well as painful bunions, corns and calluses. Shock-absorbing polyurethane materials provide comfort and flexibility to ensure a correct fit every time with adhesive pad on bottom prevents movement in shoes with higher heels and Soft 100% polyester microfiber topcloth has EcoFresh® earth friendly microbe shield technology to help safeguard against odor-causing bacteria. Use mild soap and water or our specially formulated Vionic Footbed Cleaner with nylon brush to gentle clean your inserts. Scrub then gently rinse with water. Do not saturate. Air-dry overnight. We recommend that you remove your orthotic inserts from your shoes periodically so that air can dry each side plus reach the insoles of your shoes.